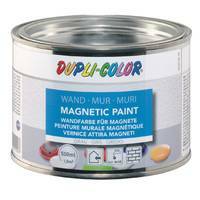 With the ferreous DUPLI-COLOR Magnetic Paint wall paint you banish holes from pins and residues of adhesive tape from your walls. 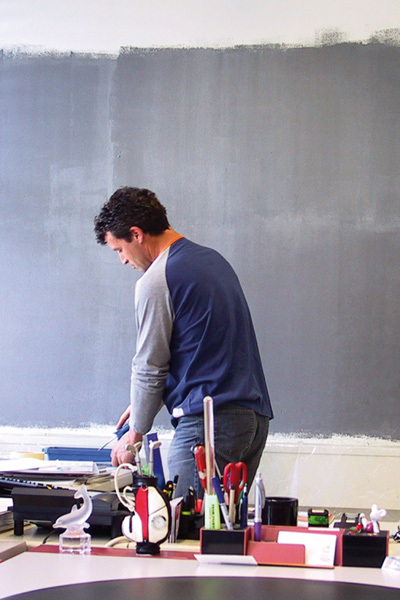 The clou: you even can paint over the Magnetic Paint with any desired dispersion paint or repaper it with a thin wallpaper – it will maintain its magnetic properties. 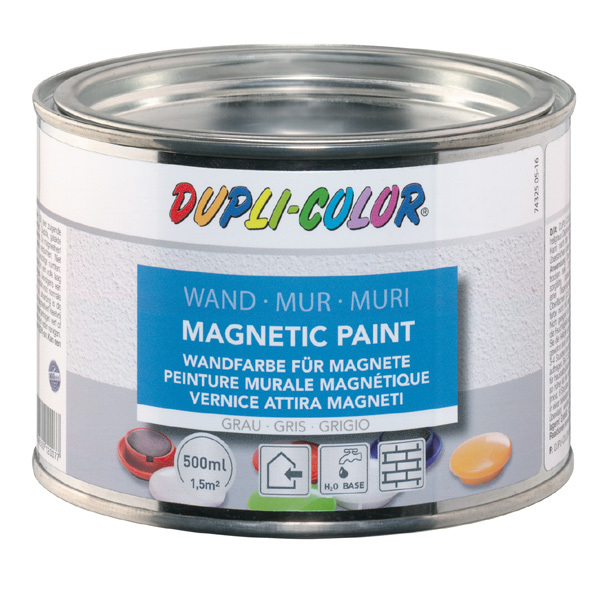 Click here for technical information about Magnetic Paint. Carefully imbue the short-hair paint roller, as you are used from other latex paints, and apply the first coat. Let the first coat dry for 3 - 4 hours. 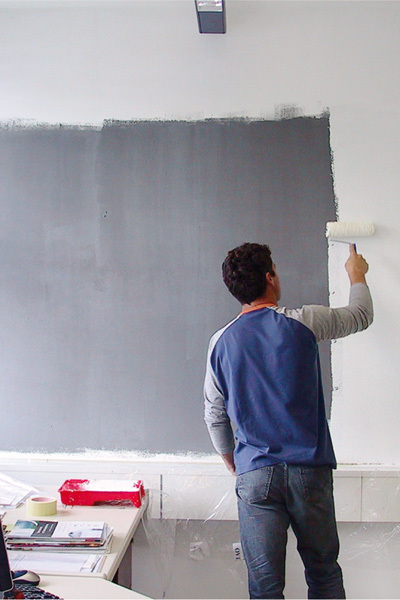 Then apply the 2nd coat of Magnetic Paint. At a coat thickness of 100 µm (2-3 coats) the magnetic effect is sufficient for customary magnets. To increase the magnetic effect, the surface can be painted in several coats. 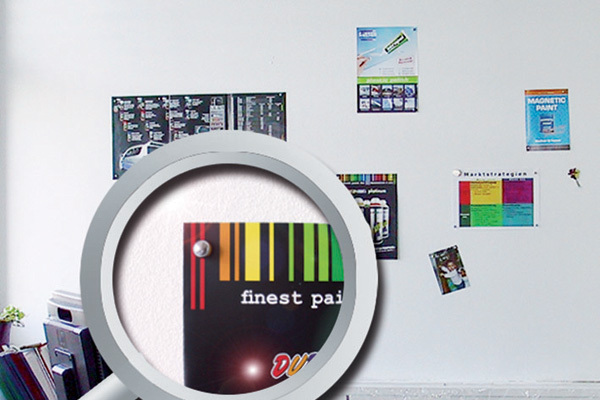 Order number see last page. 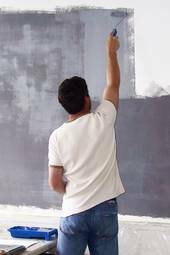 As soon as the coating is dry to touch (at least 6 hours), the Magnetic Paint can be coated with any latex paint in any colour or repapered with a thin wallpaper.